GARLAND JEFFREYS, my very first solo recording, marked a new stage in my early music career. I’d prepared for this album by performing in the many small clubs, church basements, synagogues, homeless shelters, sleeper’s conventions, hootenannies, village scenes, as well as the various apartments I lived or often crashed in during those early days. Signed to Atlantic Records, I had the great opportunity to meet and play with some very special musicians. That I was somewhat nervous in starting the sessions was an understatement. Meeting the great keyboardist and arranger” Paul Griffin, at that time was a godsend. Paul, as he did with so many musicians back then, befriended me and held my hand through the process. I will never forget my friend, and to him and Winston Grennan, I dedicate this album. 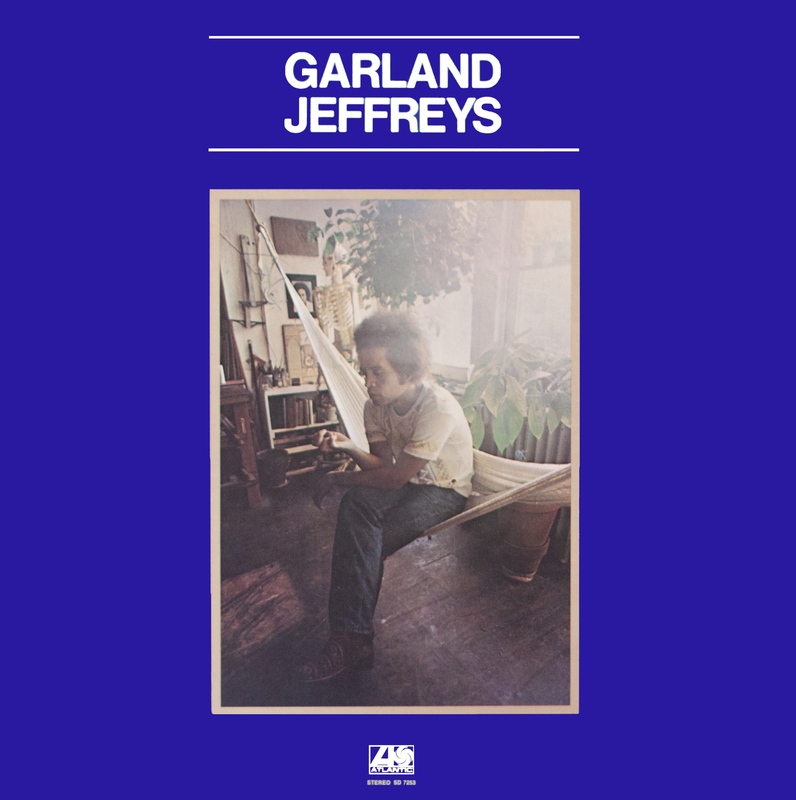 Some rock, some soul, some singer-songwriter folk-rock, a little bit of reggae – Garland Jeffreys was all those things on his self-titled 1973 debut on Atlantic Records. It might not have been enough of anyone of those things to find a big audience among fans of anyone of those styles, and his career with Atlantic lasted for just that one album. Fortunately, he was able to continue recording a few years later, gaining his widest notice with a series of albums in the late 1970s and early 1980s on A&M and Epic. The qualities that made him distinct among singer-songwriters, however, were already well in evidence on Garland Jeffreys, his debut as a featured solo performer. Although Jeffreys was almost thirty when he recorded the album, he’d already built up a formidable resume as a performer, recording artist and songwriter. He’d become friendly with Lou Reed in the early 1960s while attending Syracuse University; formed bands such as Train and Mandor Beekman; written a song, “Fairweather Friend,” recorded by John Cale on his debut solo album Vintage Violence, and recorded with a band, Grinder’s Switch, that put out an album on Vanguard. He decided to focus on a solo career rather than work within a group, however, and by the early 1970s the guitarist was working live on his own, his only accompanist being fellow guitarist Alan Freedman. Describing the accomplishments of the more illustrious contributors to the record would take up several liner notes, but it can be noted that a few of them – Dr. John (on piano and organ), David Bromberg (on dobro), and the Persuasions (on background vocals) – were highly esteemed recording artists in their own right. Richard Davis (on acoustic and electric bass), Chuck Rainey (electric bass), David “Fathead” Newman (tenor sax), and Mike Mainieri (vibraphone) were all respected jazz players; John Simon (piano) was a hot producer himself, having recently worked with the Band, Simon & Garfunkel, Big Brother & the Holding Company and Blood, Sweat & Tears; background vocalist Patti Austin would become an R&B star; fellow background singer Lori Burton had, with Pam Sawyer, written material for the Rascals, and would later sing on John Lennon’s hit “#9 Dream,” and keyboardist Paul Griffin had played on countless sessions, the most renowned being Bob Dylan’s mid-’60s albums. In the wake of the album’s disappointing performance, Atlantic would drop Jeffreys from the label. “He did one more single called ‘Wild in the Streets, and it was a lot more commercial, to my way of thinking,’ adds Cuscuna. “It didn’t catch on, and Garland was really just dispirited with the fact that Atlantic wasn’t doing what he thought they should, or that it wasn’t working. And at the time, around ’74, Atlantic was getting more and more corporate, ’cause they had been bought by Warners a few years earlier, and that was one of the times there was a big crackdown to reduce the roster. So it was just a mutual decision not to go forward. Garland took ‘Wild in the Streets’ with him, and put it on his first A&M album.” That record, Ghost Writer, did make the charts as the first of a half-dozen albums he’d release between 1977 and 1983. 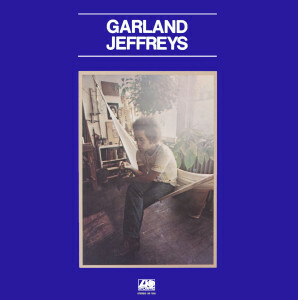 Though album releases have been more sporadic over the last two decades, he continues to perform today (see his website, www.garlandjeffreys.com, for info about his current activities).